Alright guys, one more survey question is up! It’s likely that I’ll only be able to make one enamel pin right now so I need to know which one you guys want most, Evon or Evee? The design of the pins are below and remember, only vote once! Has Evon changed her hairstyle? I seem to recall it being a bit longer. 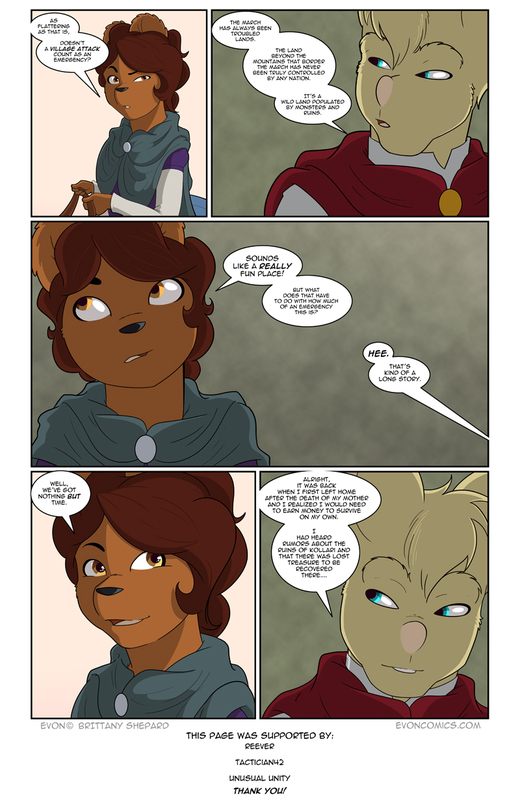 I love Evon’s eye roll in panal 3. This is looking like it will be fun, for the readers, at least. For Hero and Evon, maybe not so much…. re: the pins…is Evee getting modest on us??? Evons’ expression in panel 4 is just plain cute! March? Do you mean marsh?